The idea of sharing this creative fun popped up in my mind when few of my friends requested to post tutorials related to art and craft creations/ DIY projects which I usually carry over the weekends to wash away from the soul the dust of everyday life! Happy to start with "Creative Colors" here on flavorsn'colors, a section listing all my colorful creative artworks/ DIY projects inspired from various sources. I will share my art and craft works as well as share video tutorials of these works or redirect you to the link which inspired me. Hope you like the section, get inspired and continue to shower your love and blessings! 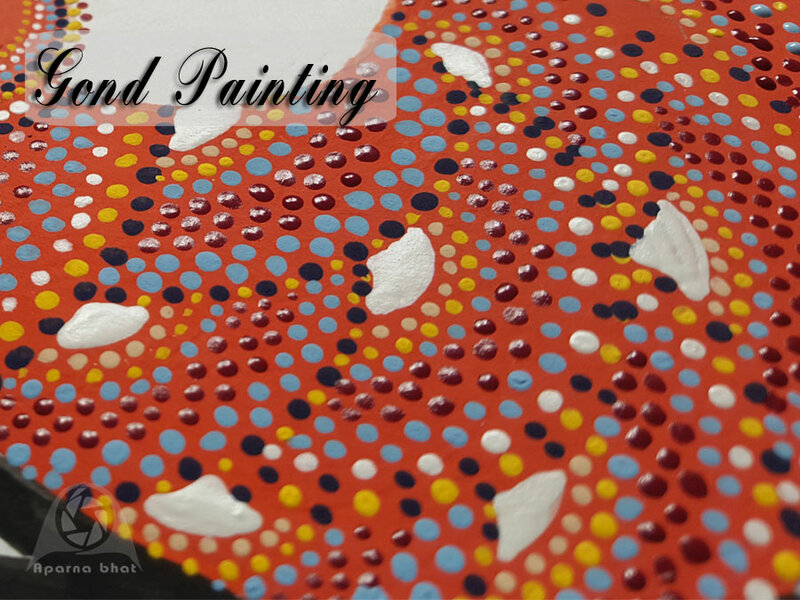 Today's post is about my humble attempt at Gond Art work. I got to know about Gond Painting in an exhibition held in Bangalore last year. 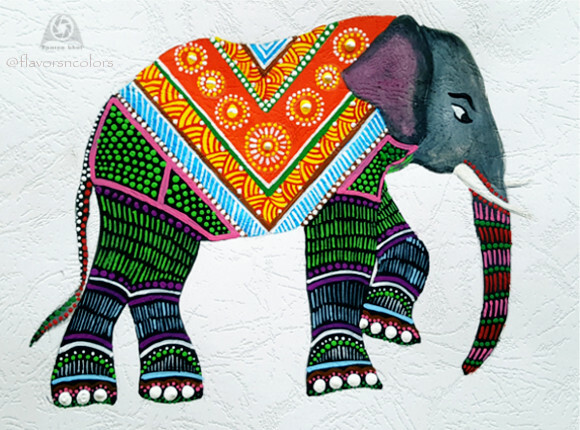 Gond Painting is a traditional art of the Gond tribes residing in Madhya Pradesh and each painting is associated with some folktale or day to day life (sounds similar to Warli art right?). These tribal people beautifully depict the tales using natural colors [that are derived from charcoal, plant sap, leaves, colored soil and cow dung] and through intricate patterns in the form of series of dots, curves and lines. If you are interested to know about different Gond patterns there is a book titled Signature ~ Patterns in Gond Art by Tara Books. Check here and here to read more about this tribal art from MP. I have plans to try out all Indian traditional art forms so when I got hold of some handmade papers I initiated with Gond art. I did an elephant design as you see in the below pic. Please note this is not the traditional way of doing as I have used acrylic colors to simulate the painting. Do check the video tutorial posted here on Gond painting. Hope you get inspired and try this art form. If so, let me know in the comments below.